DeWayne is a Shareholder and Member of the Board of Directors of Aaron & Gianna, PLC A Professional Law Corporation. He is a coordinator of the firm's Business and Civil Litigation Practices. He is a graduate of Louisiana State University and Loyola University School of Law. and has over thirteen years of experience handling complex litigation and sophisticated transactions. DeWayne's litigation experience includes trial and appellate advocacy before a variety of state and federal courts including the U. S. Supreme Court. His substantive areas of practice have included commercial litigation, employment litigation, personal injury litigation, professional liability litigation,mass torts, worker's compensation defense, constitutional law, civil rights. land use and zoning, public finance, state and municipal government law and telecommunications.. DeWayne's transactional experience has included commercial transactions and public finance/municipal bonds. DeWayne has represented individual and corporate clients in a variety of employment related matters including issues involving Title VII, the Family & Medical Leave Act (FMLA) and the Fair Labor Standards Act (FLSA. 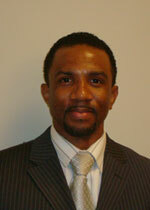 .DeWayne is admitted to legal practice in Louisiana and is a trained Mediator. He is BV rated by Martindale-Hubbell. Associate Attorney, Law Offices of Bernard L. Charbonnet, Jr.